Welcome back for another CYAO challenge from Paper Secrets! Can you believe this is already challenge #45? For this week, we had to use this sketch (#83) from Deconstructing Jen. 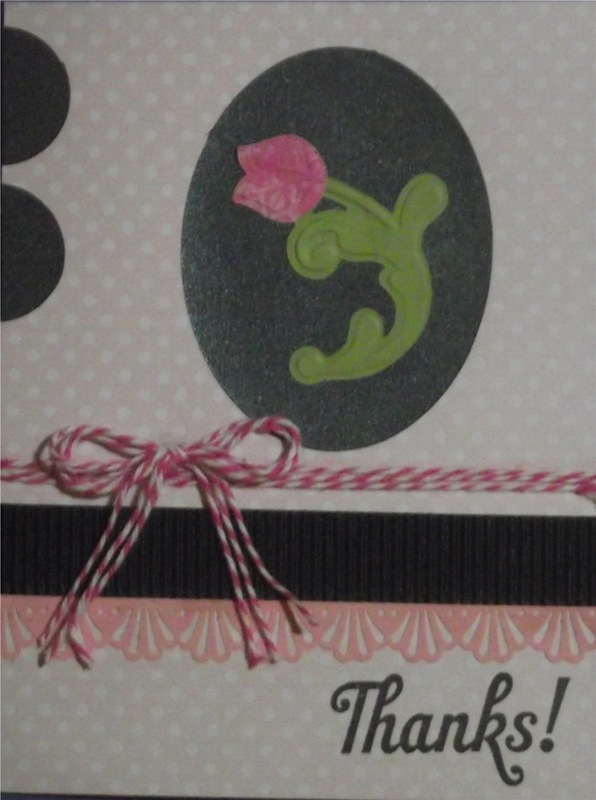 For my card I chose to use the corrugated paper (black strip), twine (line and bow) and dry embossing (Sizzix Basic Grey flower with stem). Thanks for stopping by to check out my latest creation. Hopefully I will be back on track soon! How adorable! I really like your white background and wonderful die cuts! Thanks for joining us at the Deconstructed Sketch!